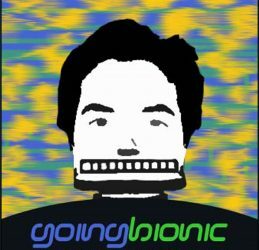 Going Bionic #274 – And We’re Baaaack! And we’re baaaack. Welcome to Going Bionic #274. While we’ve been a bit incognito since Film Threat closed, we’ll be here every week for our next five years and beyond, bringing you cinematic insights from our global observations. So, just like Steve Austin, the Bionic Man from the 1970’s TV Series The Six Million Dollar Man (which Mark Wahlberg is remaking), we’re going to be a hell of a lot more bionic – bigger and stronger, than before. Today I’d like to share a few new aspects of our reach. But first, I’d like to say “Happy Birthday” to my mom, Shamim Zaidi. Of course, my birthday present to Mom is to not publish her age. So, Mom, thank you for teaching me how to ride a bike and hence, never giving up. I love you. Script Magazine is pleased to announce a new podcast and YouTube series dedicated to the craft and business of screenwriting, “Development Hell and Back.” Hosted by Hammad Zaidi and John W. Kim, the highly anticipated episodes will cover a comprehensive look at screenwriters and their craft, from interviews with A-list scribes to discussions with industry producers and current development executives, agents, and managers. John Kim and I just shot our first episode, so our podcasts should be published onScript Magazine and our YouTube channel soon! In such a fragmented, competitive and saturated as the audiovisual production of low cost market, we will teach you to differentiate yourself. In our informative website you will see that, for free, we’ll provide advice, information, videos, diagrams and links on all aspects of production. It will be useful, diverse and compelling information that will help to clarify doubts, you will understand and master the sector and enhance your work. On the producing/writing, directing side, I have several film, television and feature documentary projects in development and production, as well as many produced videogames on Google Play (some of which I wrote and or co-wrote). Here’s a link to my IMDb: Hammad Zaidi on IMDb. Industry Corporation this Canada-based, multi-national entertainment and technology company I’m a partner in, has 24 videogames on Google Play. We also have 13 games at McDonald’s, and our newest game, Zip Zap 2, is coming out soon. Furthermore, our proprietary platform and tablet called Spark, is coming out in 2016. We’re also developing a few animated television series based on some of our games. CineCoin, the new filmmaker friendly financing company I Co-Founded with North Carolina filmmaker Les Butchart, had some exciting news recently. The SEC approved Title III, which means filmmakers will be able to crowdfund for investors, up to $1 million within a 12-month period. So, CineCoin will soon be able to help filmmakers create new investment avenues for their projects. Okay, that’s what I have for you today. Stay tuned this week, because I’ll have another post about the 2015 American Film Market (AFM). Until then, I thank you for lending me your eyes, and I’d be honored to borrow them again in the future. I can be found on Twitter @HammadHZaidi. Next PostNext Prepping for Cannes!